If you have missed the current trend for vintage styling, whether it's shabby chic, industrial cool or sheer mid-twentieth century sexiness, it's just possible that you've been on a very lengthy vacation to a faraway place! My personal favourite vintage look has to be the iconic classics from the period spanning 1950-1970, with the signature style epitomised by streamlined Danish and classic British furniture pieces, frequently adorned with bold coloured metal lamps and ceramics. 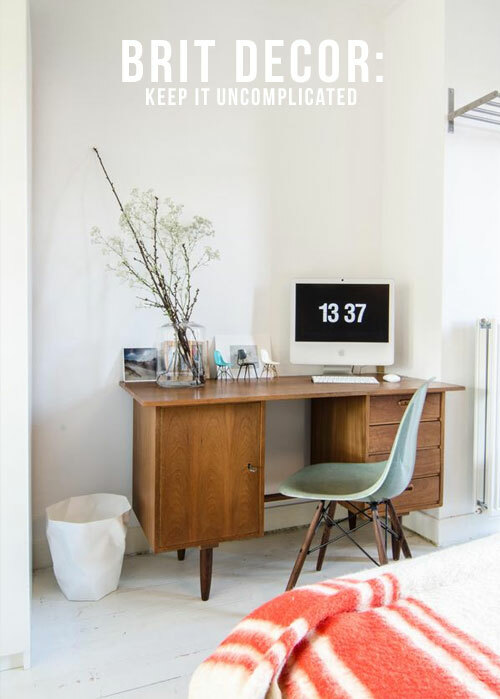 Today's post focuses on how to bring the vintage look home to create your very own workspace. I absolutely adore how the desk in the first image (above) takes centre stage and is at the heart of this living room. The warm grey wall colouring works in perfect tandem with the rich wood grain of the desk to create an incredibly subtle warming effect. This is further accentuated by the addition of the mustard yellow chair. This setting is also a great example of why adding small and curious accessories to the desktop, is a fantastic way of adding instant character and key points of interest. The gallery wall achieves a similar result same but on a larger scale. Setting no.2 shows us how a vintage desk can create an incredibly enduring sense of style, even in a modern minimalist setting. The colour palette is far more muted and simplistic but nonetheless delicious with the chalky white walls and clear vase. I love how the natural twigs and wild flowers soften the formality of this working desk and bring an organic architectural look to the room. It's strange to think that so many industrial furniture pieces are laying redundant and in some cases rusting away, when they can make vibrant domestic pieces full of character. In image 3, all that's needed here are no more than a few very simple additions like the steel swivel stool and retro desk lamp. I love to introduce a pot plant or two to my work space to help breathe some life into my working day - here the easy maintenance cactus does the job elegantly. 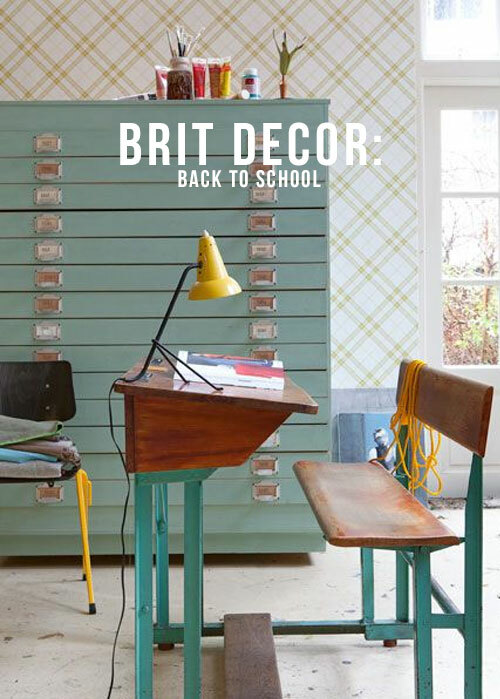 Re-vamping classroom furniture is another highly effective means of bringing the vintage look to your living space. 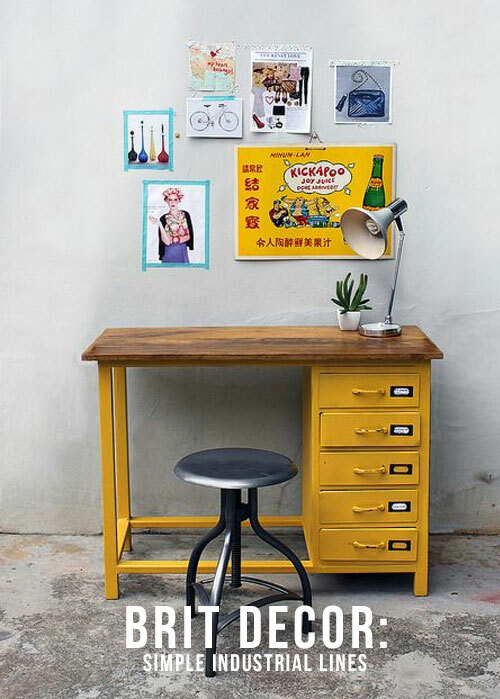 The super-strong metallic framework in image 4 creates the perfect structure for painting, and I love how this sharp turquoise colour blends with the towering industrial drawer unit to create an uplifting palette of aquas which are cleverly fused with sparks of gloriously sunny yellows for that fun factor. 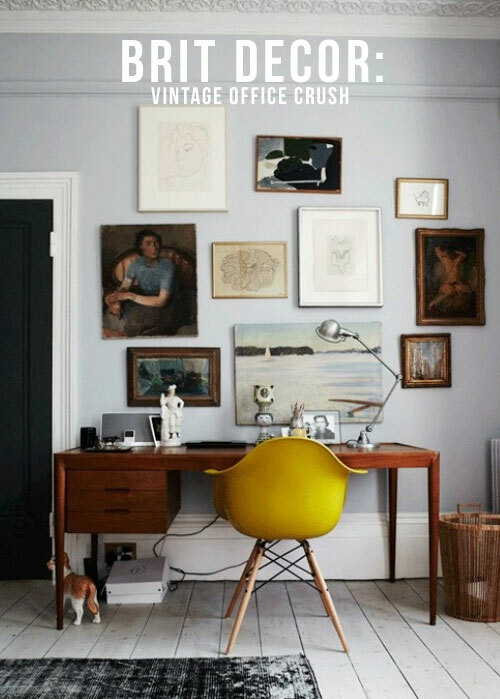 Work spaces are now incorporated in homes and they are appealing additions to home design. Even if you are to go with a vintage style, it is still with vibrancy and energy.